This morning, Keith & I ballooned over Temecula Wine Country. 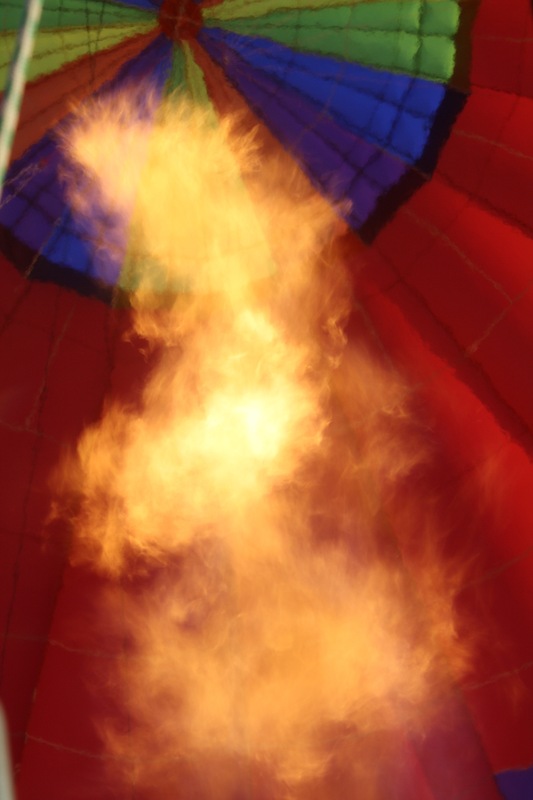 Flames lifted the balloon to the wings of the dawn. God led the children of Israel through the desert with a cloud overshadowing them by day and kept them warm by night with a pillar of fire. God always overshadows His children with the cooling cloud in the heat of the day and the warm flames of the pillar of fire in the cold desert night. There are many different reason why the flames of fire might be engulfing us. Sometimes, it takes the flames of challenges and trials to lift us to the stratosphere, so that we can see the overarching vision God has for our lives. Other times, the flames might be the Refiner’s fire that is making us pure, so that the Refiner can see His reflection in our lives. Heavenly Father, show these dear readers the warmth of your overshadowing pillar of flames to keep them warm in the cold darkness of the desert, and when they are in the midst of the heat of the flaming trials, enable them to recognize your loving refining as you carefully control the heat, so that they become more like You and reflect Your holiness in their lives.